Here are some web and print banner designs from my time at Yandell Media. This page shows a small selection of web banners that I have designed whilst working at Yandell Media. 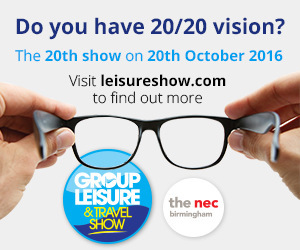 They include banners for Group Leisure magazine, The Group Leisure & Travel Show, School Travel Organiser magazine and Who's Who In Group Leisure, an annual directory I help to design. These are just a small example of the various web banner I have designed whilst working at Yandell Media.